You are here: Home / About us 39 boats for rent in 16 countries. World-Charters.com is a leading yacht chartering platform where the charter companies and private owners can promote their boats and services. This platform serves as a link between the potencial customers and the boats shown in the website when they are looking for a yacht chartering service for their next vacation. World-Charters.com does not charge the customers for this service, the platform just help the boat operators to get more requests for their business and customers to get the best price avoiding middleman and commissions. Accessing to this website you accept all the terms and conditions listed above. You are responsible for making all arrangements necessary for you to have access to our site. You are also responsible for ensuring that all persons who access our site through your Internet connection are aware of these terms, and that they comply with them. The boats listed in World-Charters are majority owned by yacht charter companies and private owners. They establish the conditions of the service and the customer is responsible to understand what are the procedures of the service. In the case that the customer need more explanations about a boat listed in the platform, must contact with the boat owner/operator using the contact form proviced in every boat file. 3- INFORMATION OF THE VISITORS. This site does not record any personal information of its visitors, such as IP or personal details provided in the contact us form. When the customer send personal details to the boat owner/operator, these details will be used to give a respond about a yacht chartering request or any other kind of request. 4- INFORMATION OF THE BOATS SHOWN IN THE PLATFORM. The boat specifications, prices, images, location and availabilty shown in World-charters are displayed in good faith. We can not guarantee the accuracy of the characteristics of the boat, as they can change without prior notice. Contact the boat owner/operator to get more info about this boat or any question you may have. 5- PAYMENT FOR A YACHT CHARTER SERVICE. 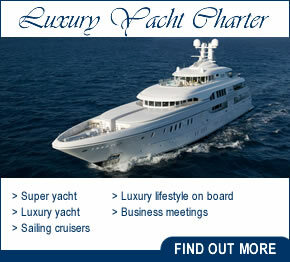 World-Charters.com never, never collects the money of a yacht charter service. They payment must be agreed between the customer and the boat owner/operator. Make sure that you understand the boat owner/operator payment policy before booking. For changes and cancelations the customer must talk with the boat owner/operator booked. Every boat owner/charter company has its own change/cancelation policy and some penality may be charged depending the date of departure. World-Charters will be never responsible about these penalityes for change or cancelation of the service. Bareboat, crewed charter, skippered charter... This affair must be arranged between the customer and the boat owner/operator. The customer is responsible to be informed of the type of service and the boat owner/operator is responsible to inform the customer when needed. Generally, the charter companies have civil insurance that covers any loss. In the case of private boats will depend on its insurance coverage. It is the customer obligation to be informed and consult with either the owner/operator of the boat on the insurance contract liability and coverage. World-Charters.com will never be responsible of any loss or damage happened during the service. This platform doesn't charge any amount for this service so we can not give guarantees of the existence of insurance in any boat. 2- I WOULD LIKE TO RENT A BOAT. WHAT IS THE COST OF DOING SO THROUGH WORLD CHARTERS? 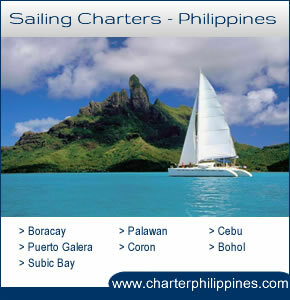 3- DOES WORLD-CHARTERS CHARGE ANY COMMISSION WHEN BOOKING A BOAT? Definitely not. The basic rule of World-Charters is simple and sincere, "Negotiate directly with the owner". Dealing with the owner/operator of the boat you avoid extra expenses getting always the best price. 4- HOW CAN I CONTACT THE OWNER/OPERATOR OF THE BOAT? 5- WHAT IS THE PAYMENT METHOD FOR THIS SERVICE? It depends of the owner's policy. They generally ask for around 25% of the amount budgeted in advance, so they can secure the booking. Others ask for 50%, and others can ask even more. Generally 100% must be paid at the time of shipment. In any case, you can ask the owner/operator of the boat to explain you the method of payment before booking. If interested, go ahead, if not, search another boat. It's that simple. 6- WHO DO I HAVE TO PAY? 7- WHAT GUARANTEES DO I HAVE THAT IT IS NOT A SCAM? 8- I HAVE MADE AN ADVANCE PAYMENT AND THE BOAT OWNER DOES NOT ANSWER. WHAT HAPPENS? 9- I HAVE BEEN SCAMMED. WHAT NOW? 10- BOAT INSURANCE. WHAT ARE THE COVERAGES? 11- I want to book the boat does not have liability insurance. What should I do?